The loss of a loved one is always a painful event in the cycle of life. One is never fully prepared for it. To find “Aria” was comforting, just to know that one would not be taken advantage of. 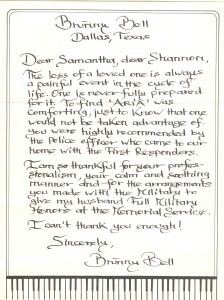 You were highly recommended by the police officer who came to our home with the First Responders. 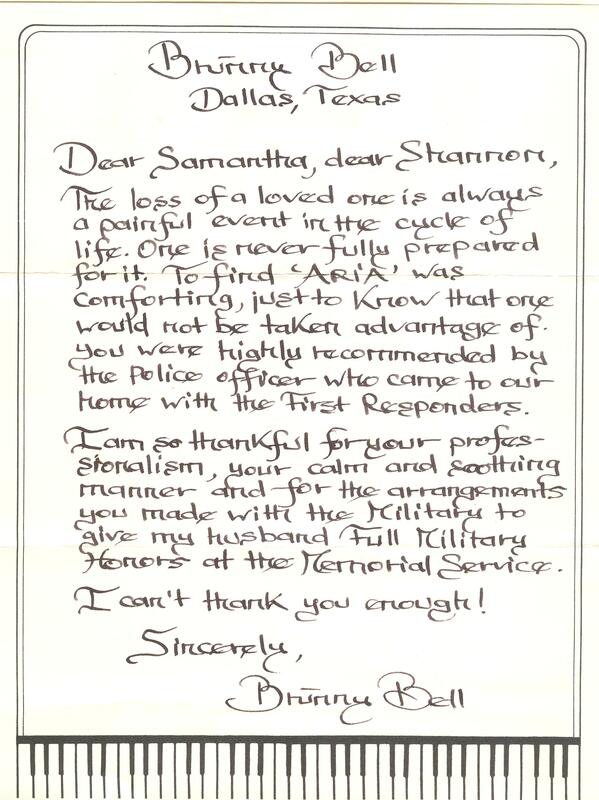 I am so thankful for your professionalism, your calm and soothing manner, and for the arrangements you made with the Military to give my husband Full Military Honors at the Memorial Service.